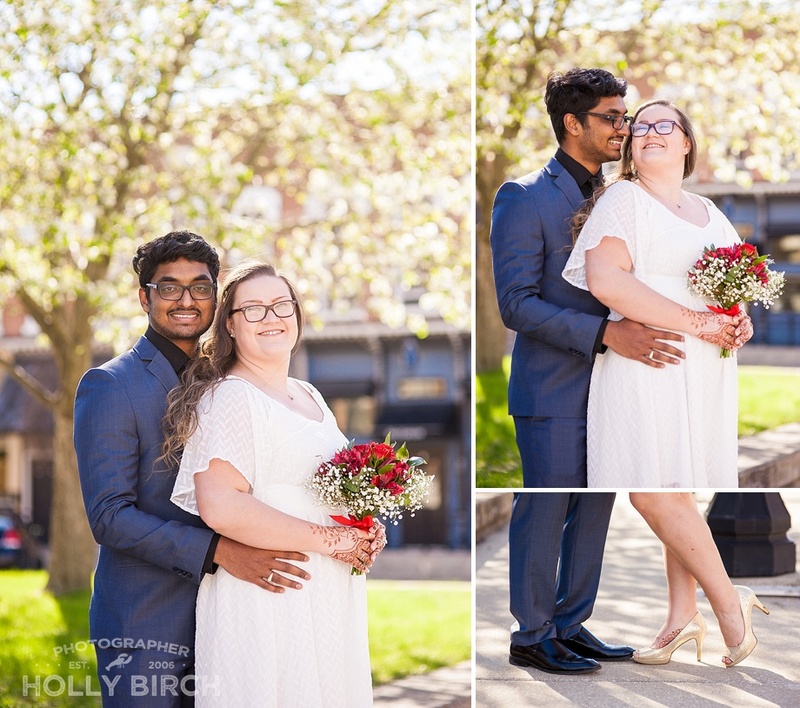 In Spring of 2017 I was sworn to secrecy as my sister’s friend Ashley married Srinu at the Piatt County Courthouse. I promised to not even tell my sister until they had a chance to tell their friends and loved ones. They were eager to make it official, and had decided on a full wedding and reception the following summer, which happened this past June. I gave them some time after that and then made sure I was in the clear to post the photos from the official courthouse nuptials. :) Ashley gave me the go ahead, and I’m super excited to finally have the chance to show these two off!! I’d never photographed a wedding at the Piatt County Courthouse before, and I was pleasantly surprised with how pretty the courtroom was! It had very high ceilings, floor-to-ceiling dusty blue drapes, elegant woodwork, and a small-town charm feel to it. It was a warm spring day too, so following the ceremony, we went outside to get some family photos and then of course some portraits of the new Mr. & Mrs. I was loving that sun flare! Ashley’s family then invited me to join them at Monarch Brewing Co. which had recently opened just a couple blocks away. Everything was SO delicious! I tried avocado fries for the first time! 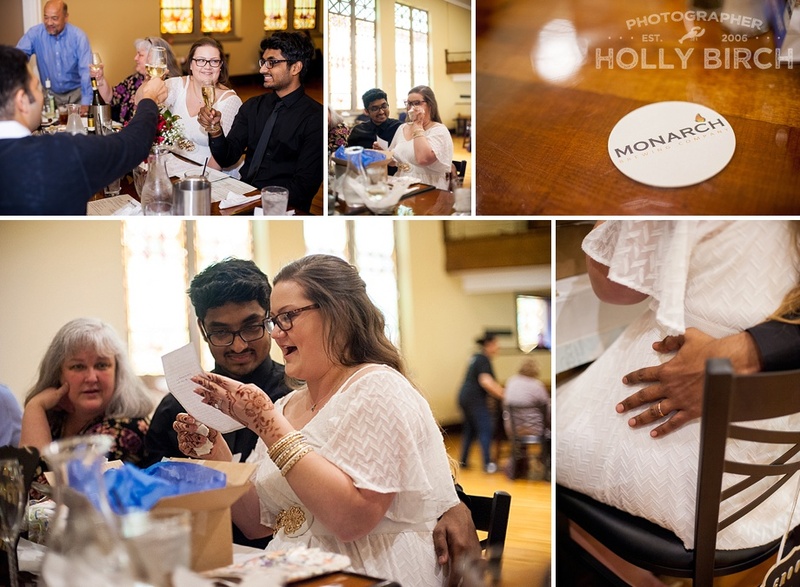 Ashley + Srinu also received some very personal, thoughtful gifts from the close friends and family in attendance. It was an honor to be a part of it all! Editor’s note: Since these photos were taken, sadly Ashley’s father has passed away. I’m so glad I was there to capture this important day for them. My deepest sympathies to the family.